When I was little and my father had to travel on business, he would try to bring back a little tchotchke for me. Well, it seems that Dr. Mrs. Bunnymom is carrying on the tradition. She recently had a business trip to NM and walking down the street, happened into a little store where she found a bunny stamp for me to add to my collection (now totaling just 3). There is another bunny thing she brought back, not a mere knickknack, but I don't have a picture of that yet. Soon. 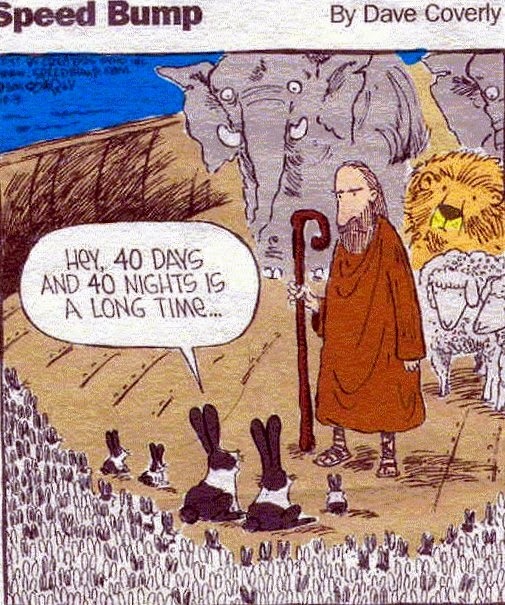 In the meantime, this is added to Bunny Things page with the hundreds of other bunny and bunny-like things observed. 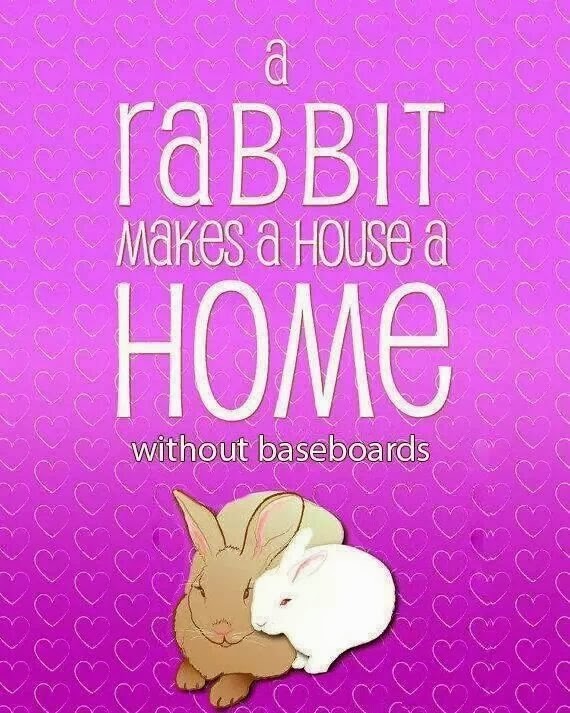 Rabbits need homes too. Perhaps one of the best reasons to adopt a bunny is that there are so many waiting for forever homes. In fact, after dogs and cats, rabbits are the third most abundant adoptable pet, with more than 5,500 listed for adoption on Petfinder. 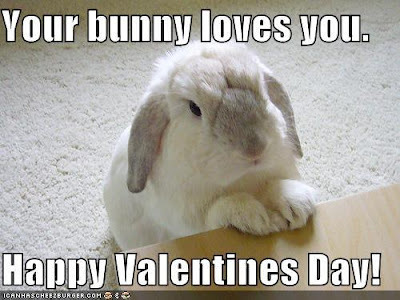 Search Petfinder to find some bunnies at a shelter or rescue group near you! Mary Lempert is the founder and manager of The Rabbit Advocate. She has served as a rabbit behavior and rehabilitation consultant for the House Rabbit Society, House Rabbit Network and the MSPCA in Massachusetts and, most recently, for the Almost Home Humane Society in Lafayette, IN. 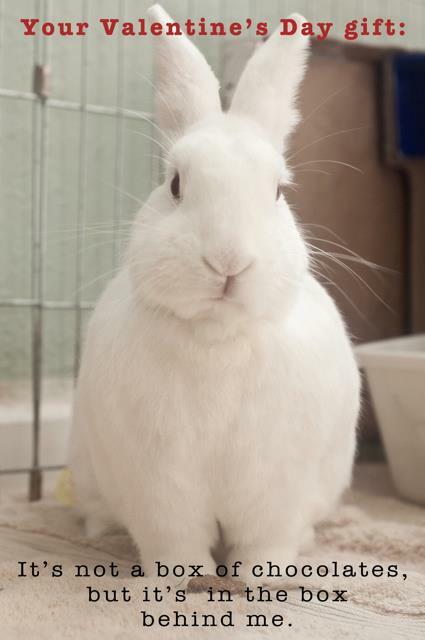 She lives in West Lafayette, IN, with her rabbits Graysie and Willoughby and any number of foster bunnies. 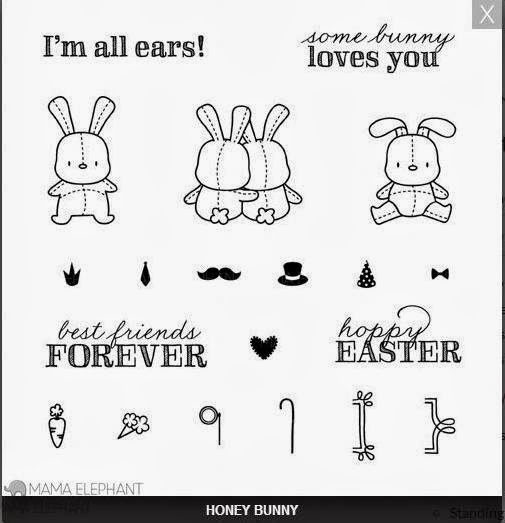 These are bunny stamps from Mama Elephant. Of course, they have other stamp kits - an incredible number, actually, with many different themes - but this is a bunny blog. This particular kit ($15) contains 20 stamps (16 images and 4 sentiments). 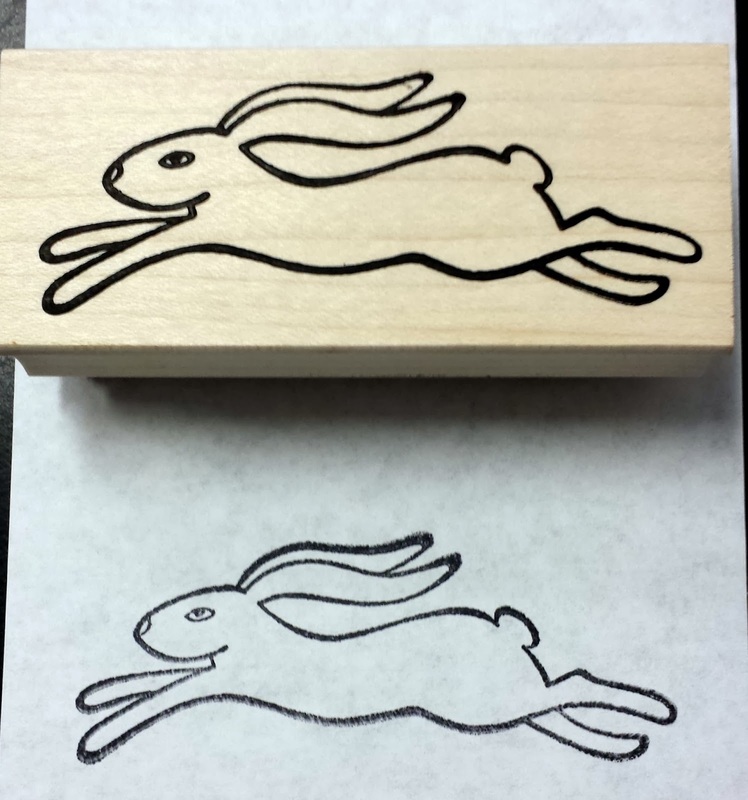 The stamps are not wood but clear, so you can stamp the rabbit and then add whatever "adornments" you want. They also have a wide selection of ink colors. I went to order the bunnies but they were sold out! However, you can enter your email address so that you are notified when they are back in stock. They were on the Today Show this morning and if you enter the code TODAYSHOW, you get 10% off your entire purchase! Oh, and here's their Facebook page. P.S. If people want to buy kids a bunny for Easter - this is the bunny they should get to play with, not a live one! Poor Elmer Fudd ... never stood a chance. 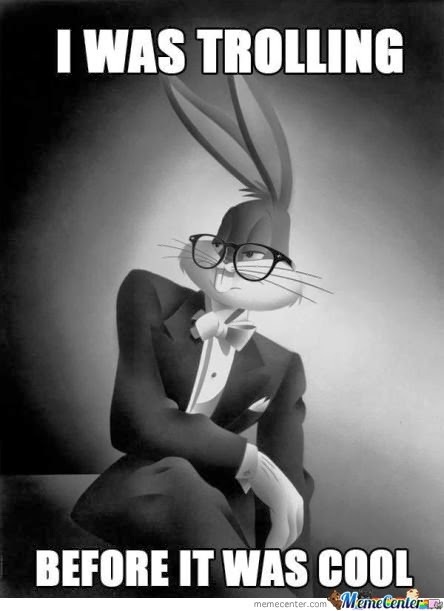 Of course, they will be added to the RR Bunny-human look-a-likes page. 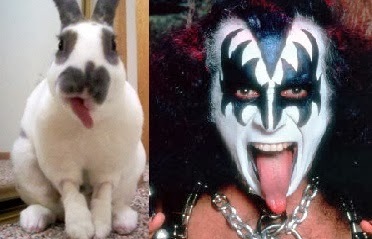 Of course, this will be added to the growing list on the RR bunny-human doppelgangers page. Here are some big, crawl-inside type toys. Both are all natural and completely chewable. We have had these toys or ones like them before. Eventually, they will chew them into almost nothing - you throw away the scraps and get a new one. As you can see, just by arranging them to take a picture, the bunnies got interested in them. Everyone had to come over to chin it, chew it or run through it. We have a couple of others not as new as these that the bunnies also chew; one is in the shape of an A-frame and the other is a little stick house. By the way, touching on the socialization issue, playing with your bunny - every day - is one was to make them happy. 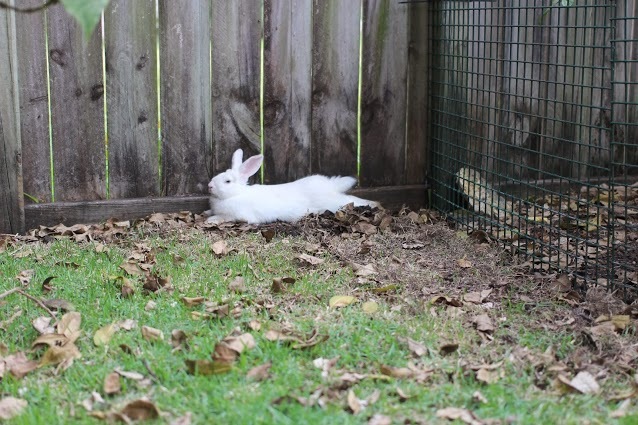 Bunnies are very social little animals, which is why a bonded pair can be great. Just by my showing interest in their toys, they had to come over and engage. They live in a 7'x7' pen but free range a much larger area when a human is home. Another way to combat bunny boredom is to have some toys, boxes, tubes and habitats inside their living quarters and others in their free-range area. Every once in a while, switch some of those things, so their environment evolves a little and gives them something different to explore. Of course, they may have core favorites (in our case, their elevated bed from The Blissful Bunny) that are always in their pen for them. Here are a selection of their different wooden chew toys. Many of them have little bells. A baby's teething key ring (hard plastic) is another toy a bunny may like. Many of these toys were purchased from the GHRS Hop Shop, so your bunnies get toys and you help support the rescue of other bunnies. (And here's a link to The Blissful Bunny's Etsy store). The bunnies will roll these or pick them up, rear up like Silver (from The Lone Ranger) and toss them around. One of these is simply the ring to a mason jar; they love it. Give your bunny things to entertain and to play with. Engage your bunny. 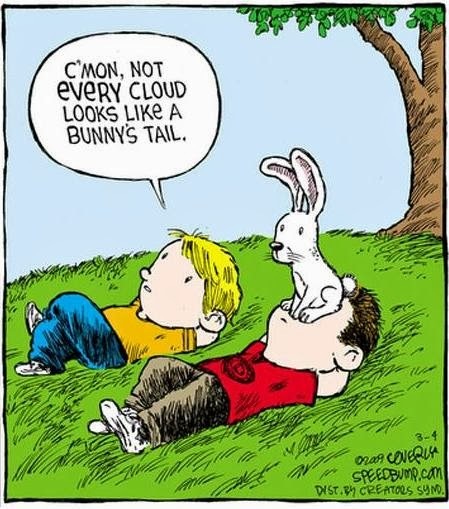 Rabbits are crepuscular, primarily active during twilight (dawn and dusk), so be sure they have time to play and run around every morning and evening (in total, at least 3-4 hours every day during these times). P.S. Kat, in the comments, reminded me of another tool to battle boredom, a digging box. A post about our first one is here. Their funhouse also has a digging room (see Ethel in it here). Interesting that semi-wild bunnies also come to the sound of a human crinkling a treat bag. Must be ingrained in their DNA from caveman days. Rescue of abandoned rabbits by H.A.R.E. PLEASE do NOT release a domestic rabbit outside into the "wild" Domestic pet rabbits do not have the coping skills of wild rabbits to find water or food, avoid predators and parasites, or otherwise survive in the wild. This is not re-homing or being kind to your rabbit - it is animal cruelty. ... eleven of the mangiest, sickest, saddest bunnies I think I've ever seen. They were dumped in a bushy area behind a parking mall in Hialeah. Could you please ... somehow notify your compassionate bunny folk about these bunnies? Not only are we in desperate need of donation $$ for their medication and spay/neuters, but we also need to find them loving forever homes! The best way is to spread the word among good bunny people. So here's the HARE Facebook page. Here's the HARE donation page. Klaus takes a breather after chasing Baxter and Pearl. There is a page with pictures of the bunnies' progress. The picture above came from near the bottom of that page, i.e., more of an "after" picture than "before". WARNING: Many of these pictures are brutal. This is a survey about having a bunny as a pet, including the circumstances and care of your bunny, your opinions about bunnies as pets and how you feel about your bunny. It is anonymous and there is a separate chance to enter a drawing at the end. But is very, very cute. Bunny's nose is a bunny! This is Toffe and, to me, Toffe's nose is a bunny silhouette! Toffe's picture has been added to the Bunny Things page. 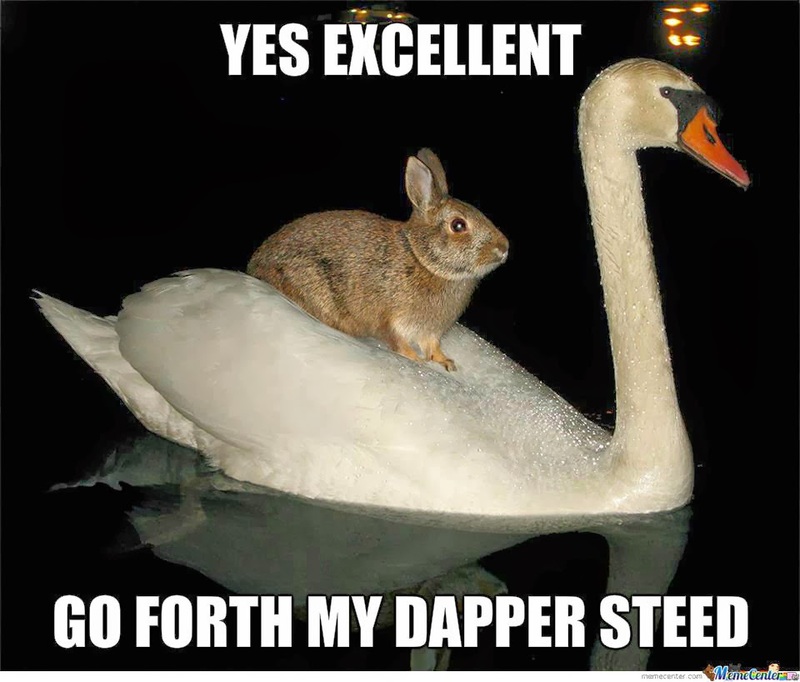 And for good measure, it has been submitted to Rabbits Everywhere on Bunspace. Maybe not official RR Meme*day, but couldn't resist. Looking for wires to chew. Getting in the way so he gets bribed by the human with treats. 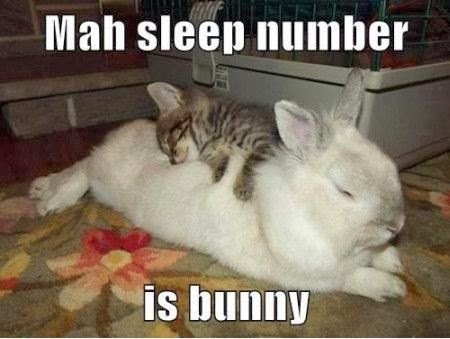 Bunny bingo - if a bunny poops on your number, you get that number. Probably has better odds than the lottery. 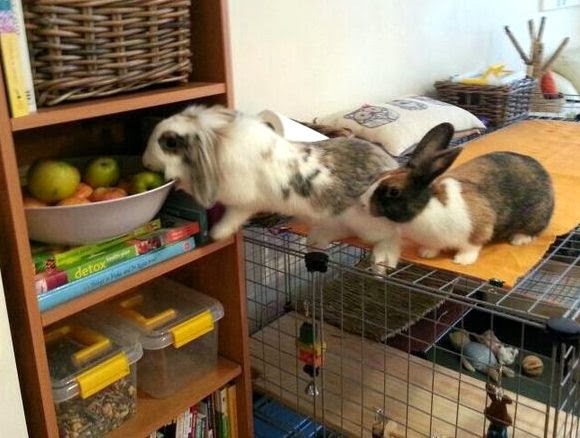 Sure, you "bunny proofed" your home. 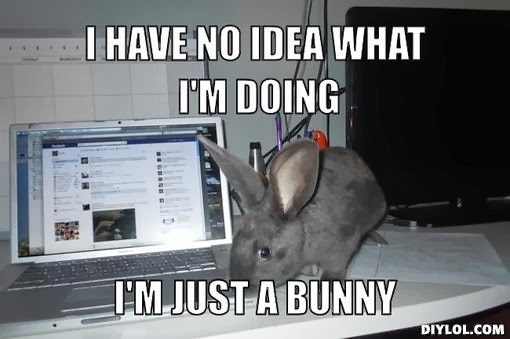 Experts know: there is no such thing - bunnies are smart and curious so they will always find a way to make mischief. But you should still try your best, to protect your stuff and, most importantly, to provide them with a safe environment. 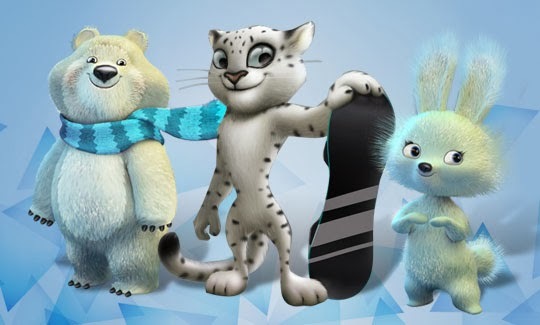 The 2014 Sochi Olympic mascots include a bunny! Don't ask me ... no idea. 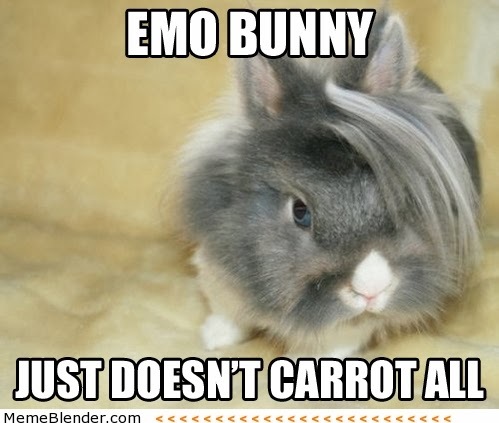 But it had a cute bunny in it.